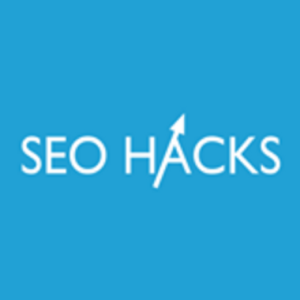 When we say SEO ‘hacking’, we mean things which can save time in doing things as effectively as possible. SEO hacks won’t ever include black hat techniques in an effort to dodge the search engines and their algorithm. So, keeping that in mind, let’s take a look at the ways in which we can speed up the process of implementing the best possible SEO techniques to your website so that you don’t waste too much time and yet get the best desired results. Improve your search performance with the following hack site optimization tips and techniques. When people usually search within your site using the search bar, they do so because the content that they’re hunting for isn’t apparent. If you can track these searches, you can get a supply of new and fresh keywords which your customers are already shown interest in. When you build content around such keywords, they will definitely pay off in terms of SEO and satisfy the search engines and the visitors. Since majority of the Google Analytics data has been converted to ‘not provided’, you will have to be cleverer when it comes to seeking keyword information from the search engine giant. Log into Google AdWords keyword planner and choose ‘search for keyword and ad group ideas’ option and then enter the URL of the site and set the targeting option to your respective country. There are different ways in which you can set up and claim Google Authorship but there is one easy way to do it. If you have a WordPress site, you need not think of installing plugins or mail confirmations. You can instead plug a code into the header.php file of the site and ensure replacing the profile link with your own code. This will ensure that your profile code can be propagated to all pages of the website and Google will give you credit for your efforts. Therefore, follow the above mentioned SEO optimization tricks or SEO hacks in order to get best results in no time.